When it's time to let someone know you are thinking of them, it's nice to send a serene card. I like how Colorful Seasons lets you do just that. My "water" is from Timeless Textures using Marine Mist ink. My sand is a combination of Timeless Textures and Work of Art using Crumb Cake ink. Add a cheerful yellow umbrella, chair and lemonade and you are in the business of letting someone know you are trying to lift their spirits. The drink has a little shine from a clear Wink of Stella pen. Thank you for visiting today! I hope to encourage you to make our own cards and send them off for encouraging others. When you need Stampin' Up! 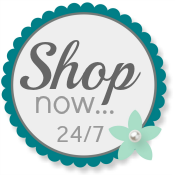 supplies, I'd love it if you use my Online Store.